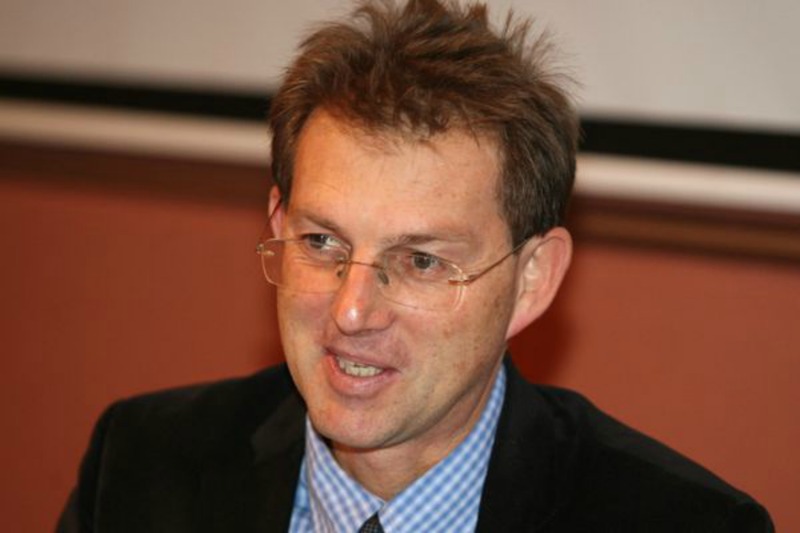 Center-left political novice Miro Cerar led his party to victory in Slovenia’s election yesterday (13 July), indicating he would rewrite a reform package agreed upon with the European Union to fix the euro zone member’s depleted finances. The result will test investor nerves, given Cerar’s hostility to some of the big-ticket privatization programmes that the EU says are key to a long-term fix for Slovenia, which narrowly avoided having to seek an international bailout for its banks last year. Cerar’s six-week-old SMC party won 34.8% of the vote, which translates to 36 seats in the 90 seat parliament. That would give the 50-year-old law professor the strong mandate his recent predecessors have lacked, potentially going some way to restoring political stability after years of turbulence and weak government. The center-right SDS party was in second place with 20.6% of the vote. A string of smaller center-left parties also won seats and were lining up to join Cerar in government. Success for Cerar, whose gymnast father was one of Slovenia’s most famous sportsmen, is punishment by voters for the traditional parties, tarnished by corruption scandals and years of economic turmoil in the ex-Yugoslav republic. Outgoing Prime Minister Alenka Bratušek called Sunday’s snap election after losing public confidence. Cerar’s government will now oversee a raft of crisis measures agreed upon with the EU, in order to reduce Slovenia’s budget deficit and remake an economy heavily controlled by the state. Cerar will have to find other ways to raise cash if he is to meet to targets agreed to with the EU, in order to slash Slovenia’s budget deficit to 3% of output by 2015, from a forecast 4.2% this year. Both the SD and Desus were part of the outgoing cabinet and were reluctant recruits to the toughest of Bratušek’s crisis measures, particularly privatization. “In the more likely scenario that the centre-left assumes power, the next cabinet will likely delay or halt many of the reforms necessary to improve Slovenia’s public finances,” said Tsveta Petrova, an analyst at Eurasia group. The party of Miro Cerar (SMC) was formed barely six weeks ago, and shot to the top of opinion polls among voters looking for someone new and untarnished by the corruption scandals that have dogged the mainstream parties. He owes much of his celebrity to his gymnast father, a two-time Olympics horse champion when Slovenia was part of Yugoslavia. State meddling in the economy was at the heart of the crisis that began when the global economic downturn hit Slovenia’s vital exports. Bad loans exposed years of reckless lending and an economic model that had largely avoided the privatization schemes pursued by other countries in Eastern Europe after the Cold War ended. In December 2013, Bratušek’s government poured €3.3 billion into the banking system to keep it afloat, and avoided becoming the latest member of the 17-nation euro zone to seek a bailout from the European Union and International Monetary Fund. Estimates suggest a bailout for Slovenia, which joined the EU in 2004 and the eurozone in 2007, could run to €5 billion, mostly for shoring up its banks. Although small by the standards of Greece or Ireland, a bailout would be politically awkward when the eurozone is also wrestling with financial woes in Spain, Italy, Portugal and Cyprus. A bailout would tough on Slovenia, forcing the government to make more spending and job cuts, but under international supervision. But instead of opting for assistance from the Troika of lenders, Prime Minister Alenka Bratušek has put up a package which includes the privatisation of state firms and a rise of VAT. Those that follow the mantra (ideology) “privatisation = good” “government owned = bad” need look no farther than the UK to see how successful this has worked out in a large economy. The railways: the infrastructure had to be re-nationalised after the owners failed to undertake maintenance resulting in a significant number of train crashes and fatalities (Post privatisation: UK rail, the slowest and most expensive in Europe – pre-privatisation: Intercity – held up as a model of state run railways). The power sector: following privatisation and quoting Prof Grubb (Cambs & London & Ofgem advisor) the energy companies “seated their assets”. Elec Energy costs (before taxes) are 8eurocents in Germany and 13 in the UK. 70% of UK citizens want the whole power sector re-nationalised. Telecoms Sector:BT is seen as failing to invest in UK networks – despite having been paid by the UK government to do so. These are just a couple of examples – Public Private Partnerships? (= Enron II) where the private sector makes vast amounts of money while taking zero risk. Water & sewage? a national disgrace. By all means sell assets to the private sector – but do expect citizens (and indirectly the government) to be comprehensively ripped off. If I was Slovenia, I’d point to the UK and tell the EC where to stick its privatisation agenda. It’s fascinating how some commentators use the comments section to promote their own personal political ideology. Someone ought to point out to Mike Parr that the UK economy is doing much, much better than the Slovenian one, where governments have done very little to modernise or open up the economy. Nice try EC – but given the pressure is on Slovenia to privatise I raised some examples of past privatisations – nothing to do with ideology – I leave that to the Tory-Vermin (perhaps you are a supporter?) and everything to do with outcomes – or perhaps you have airbrushed out of your own history the large number of rail crashes and fatalities in the UK due to private ownership, and perhaps regular polls of UK citizens showing large majorities in favour of public ownership (or the power system) roll off you like water off a ducks back? or perhaps you just suffer from cognitive dissonance? In what sense is the UK economy doing “much much better”? It too has had to bail out its banks (private ones, as it happens). Some new problem with them emerges every few months. It also has a larger debt-to-GDP ratio than Slovenia; a larger deficit, a far higher level of social inequality, and an over-reliance on financial services, leading to an unbalanced economy, which has hardly grown since 2008. A resounding endorsement of privatisation it certainly is not. Mr Scurek – Exactly – spot on old chap. Wow, Scurek, you convinced me. Slovenia is an economic powerhouse, one of the world’s largest economies with such great inward investment. And, it was never on the verge of a bailout. It’s a more important country in the world economy than Britain is. I mean, the fact that the previous Slovenian government collapsed and hence a snap election was called is a big mark of confidence in the Slovenian economy, which is a role model for all to follow, especially Mr Cerar’s proposals. Because telecoms companies must be in state hands – that’s exactly how all the great technological advancements in communications over the past two decades have taken place and how prices have fallen. Let’s just wait and see just how wonderfully Prime Minister Cerar does. Obviously, choosing a complete newcomer to the scene is also a vindication of how previous governments have handled the Slovenian economy, which is doing so well, according to Mike Parr and Scurek. When you actually reply to the points I made, Eurochild, instead of mixing responses to silly assertions I didn’t make with your own political dogma, perhaps we can have a conversation. In the meantime, I’ll go back to pondering why it is that my phone bill with dynamic Virgin Media goes up every month though I never use it, and how we restore faith in UK politics so people actually go out and vote, and when they do it’s not for some loon like Farage. Mike Parr attacks idealogues but then acts as one by arguing “Private – bad” “Public – bad “. It is reasonable to point out some of the problems involved in privatisation but to leap from that to a general argument in favour of large scale renationalisation is not convincing. Is he really arguing that my sole supplier of electricity should be the South Eastern Electricity Board and that they should only buy from the Central Electricity Generating Board?